Durable, great every day protection for your leg with these synthetic, leather effect chaps. 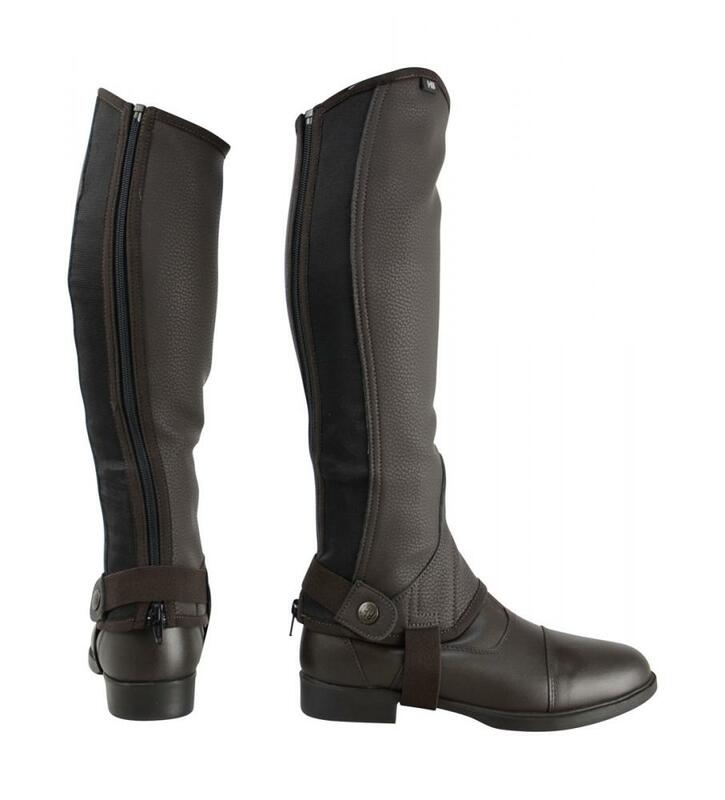 With an elasticated panel for a snug fit, and an additional panel at the front to easily slide over your jodhpur boots. With a soft, fleece style lining for extra protection, and a strong elasticated press stud fastening around the ankle. 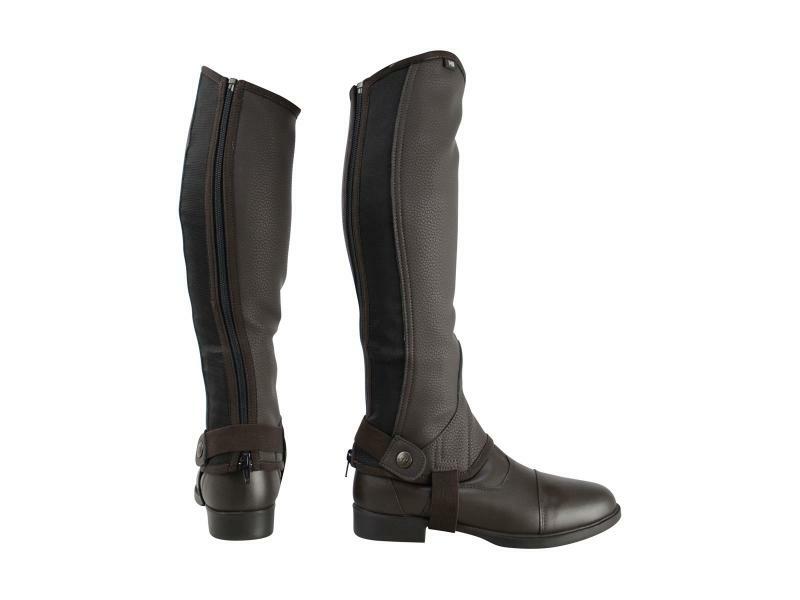 These are extremely comfortable to ride in - you will almost forget you are wearing them! There are currently no questions for HyLAND Synthetic Combi Leather Chaps - be the first to ask one!